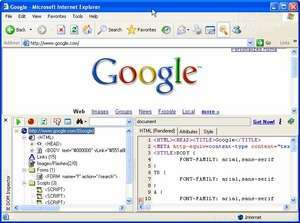 IE DOM Inspector is an add-in for IE that allows you to view, traverse, and dynamically update that HTML DOM directly in the browser window. It can analyze web pages in real-time and presents the page elements in a tree-style view, that allows you to inspect style sheets, java scripts, forms and more. The program can also highlight selected elements interactively in the browser, making it easy to locate the code in the actual web page. For security reasons, you should also check out the IE DOM Inspector download at LO4D.com which includes virus and malware tests. Additional screenshots of this application download may be available, too.